Join us for This quick class perfect for the lunch hour. Take a break from work. 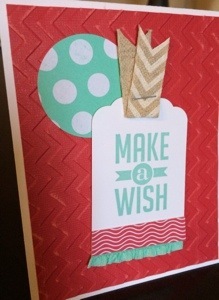 All participants will get to make 2 Birthday cards and a gift card holder for $5. Invite a friend or co-worker to join you. Please RSVP ahead of time so I know how many to expect. All instruction and supplies provided. This is a great alternative to finding your own Pinterest Project! This entry was posted in Upcoming Classes on April 4, 2014 by katzcreates.